Could be some sore necks and tight calves in the morning as the patrons tried to claim the best view of Woods’ victory. When I played against Woods earlier in his career, his entire game was far superior to the rest of ours. He just had a confidence about him that he would beat you and not by one or two strokes but by 10 or 15. The new fans that came into the game – when you played with Tiger Woods, the fans really wanted him to win and you to lose and you could feel that. It was so intimidating being out there and knowing he had every shot in his bag and he could play it at will. I remember playing him at the World Match Play, in fact my wife had already booked tickets to go to London for the day after so that was the confidence she had in my game. But match play is a different animal. Maybe he was bored with the pairing and I was making putts and playing well and I could sense he was in big trouble. And when he tried to turn it on it was too late. But I still know my hierarchy on the totem pole. I’m just appreciative of being able to see a player of his greatness. It’s incredible what he has accomplished. Nobody can touch him. 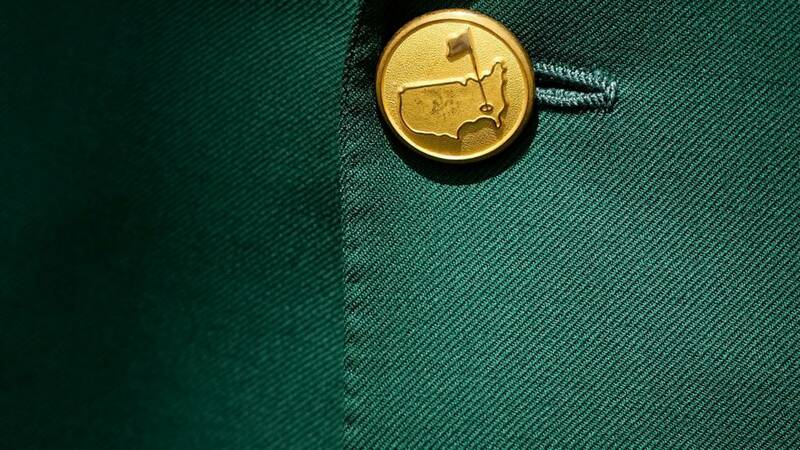 Aside from lifting a rather lovely Masters Trophy- made of more than 900 separate pieces of silver – depicting the Augusta National clubhouse, and of course collecting an iconic Green Jacket, Woods will also pick up a hefty cheque of more than $2m. The total purse is $11.5 million (£8.8m ish), and winner gets $2,070,000 which equates to about £1.58m. Jack Nicklaus stands alone when it comes to winning here. The Golden Bear’s six green jackets (spanning 23 years between 1963 – 1986) puts him two ahead of Arnold Palmer and, now, one of Tiger Woods. Three wins and upwards only. The greatest comeback in sport! Ewajane Tolu Justus: Congratulations @TigerWoods, best of all time. The record is back on. PSP: You just can’t beat a man who never gives up. Tiger Woods – 2005 v 2019. What’s changed between his fourth and fifth wins at Augusta? Other than the hairline, not much…. Put you hands up for Tiger! If Serena is inspired then the rest of the women’s tennis world had better watch out. Williams, like Tiger, is considered the greatest in her field but also trails just one person in terms of major wins. Serena winning another major after almost dying giving birth in 2017 – and tying Australian’s Margaret Court’s record of 24 Grand Slam singles titles – would be certainly celebrated in a similar manner. First up, the current president of the United States. You know it is a big deal when US presidents past and present offer their congratulations to the Masters champions. And many of your peers. Let’s look at the reaction to Tiger Woods’s remarkable victory at Augusta…. Wow, just wow. Only those made of stone will have failed to get excited watching all those clips again…. A 15th major victory assured, wild celebrations with his family, friends and thousands of people he had never met. Only one thing left – to slip into the most famous jacket in sporting history. Only a Jean van de Velde-style meltdown was going to stop Tiger now. One, there wasn’t any water. Two, this was the man who many consider to be the GOAT. Two putts to win… the second taken. Watch below. And then watch again and again. Woods followed up that birdie on 15 by rattling in another on 16. That moved him to 14 under and a two-shot lead. It was ON. Eagle putts from Molinari and Woods fail to trouble the trapdoor on the 13th, but both walked off to the next tee scribbling down a birdie on the card. So that made a three-way tie between Molinari, Woods and Xander Schauffele. Francesco Molinari pegs up first on the 12th… two practice swings, mental rehearsal done… oh no!! A casual swing leaves it under-hit, landing on the bank and reversing into the water. Odds on Tiger to make that mistake? Slim. Woods hit the green and earned his par, while Molinari double bogeyed. All square.. In Nigeria, Armed Forces Day, also known as Remembrance Day, is celebrated today 15th January.